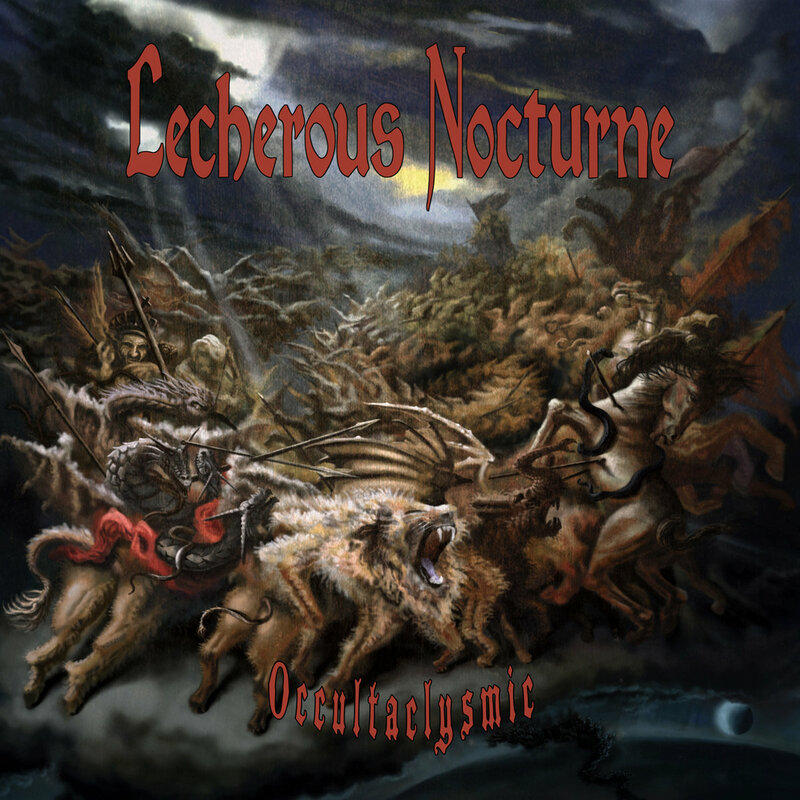 USDM war machine LECHEROUS NOCTURNE are set to launch it most lethal assault to date with the April 6 release of Occultaclysmic. The culmination of a 20-plus year journey through chaos, the fifth chapter in this genre-defying band’s legacy draws from realms previously unexplored, further twisting the standard definition of extreme metal. Guitarist Krieshloff comments: “Occultaclysmic is darker, more chaotic, and much more brutal, drawing more influence from blackened and atmospheric masterpieces than previous releases. The structured evolution of our musicianship is at an all-time high, resulting in a torturous opus that will leave death metal fans craving more!” Occultaclysmic was engineered by Jarrett Pritchard.